March Madness of a different flavor overtook Emory University March 18-19 as more than 200 students, judges, observers and staff convened for the first national Emory Global Health Case Competition. 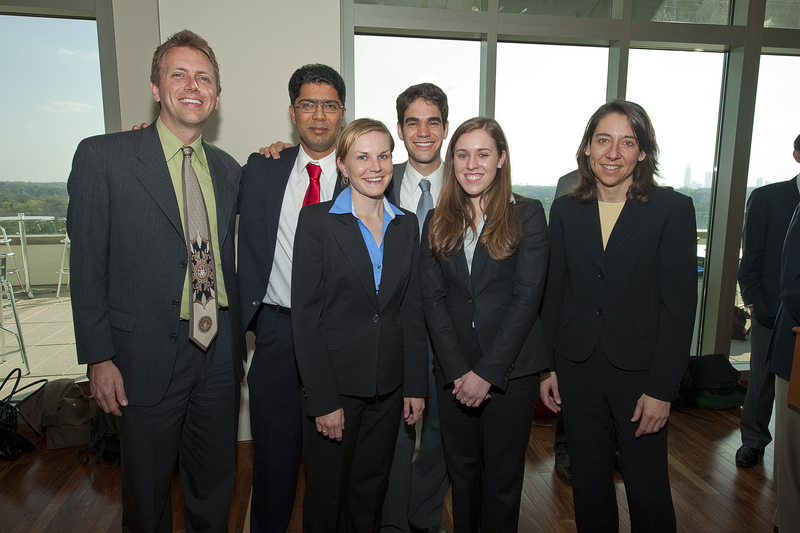 The competition involved 20 teams of five students each, representing at least three academic disciplines per team. Emory fielded eight teams, and 12 teams came from leading universities across the country: Dartmouth, Princeton, Penn, Cornell, Yeshiva, Duke, Vanderbilt, UAB, USC, UCSF, Rice, and Texas A&M. All these universities are members of the Consortium of Universities for Global Health. As in two past local and regional case competitions, this yearâ€™s event was student initiated, developed, planned, staffed and conducted. This yearâ€™s signature sponsor was GE, with additional sponsorship from Douglas and Barbara Engmann, and internal Emory funding. â€œGlobal health continues to grow as a primary interest of students at universities across the United States, and the Emory Global Health Case Competition has gained a reputation as the leading national team event to showcase the creativity, passion, and intellect of our future leaders in global health,â€ says Jeffrey Koplan, MD, MPH, director of the Emory Global Health Institute. The Feb. 17, 2011 issue of The Lancet included an article by Koplan and Mohammed K. Ali, assistant professor of global health at Rollins School of Public Health on the benefits of problem-based competitions to promote global health in universities. Teams worked through the night on Friday for their Saturday morning presentations. The case involved a proposal for improving conditions in several East African refugee camps in the face of a severe budget cut. 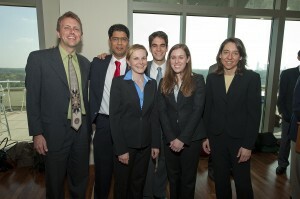 Judges were blinded to the academic affiliations of the teams, but Emory won the top two prizes (first prize was $5,000). UCSF and Dartmouth received honorable mentions, and Rice was given an innovation award.